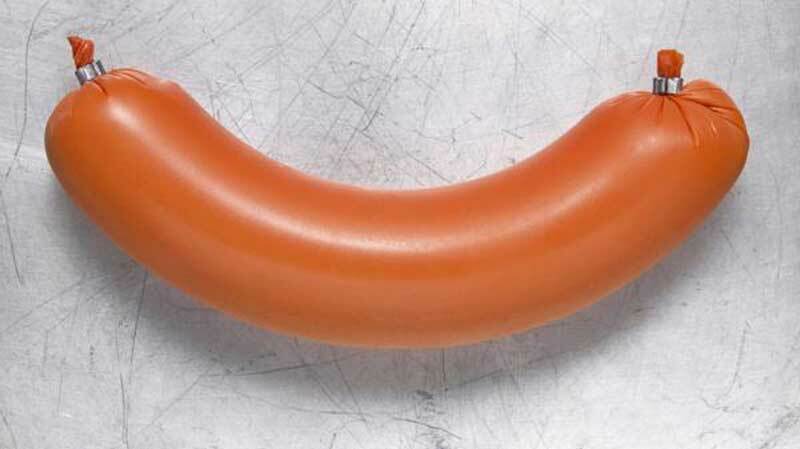 When a 49-year-old man from north eastern Germany lost his temper, he inflicted damage on his adversary's car with a 30cm-long sausage. According to the police report the incident took place at around 7pm on Saturday evening. Authorities are now pursuing charges of verbal abuse against a 49-year-old and a 47-year-old, both male. And in the case of the 49-year-old they are also investigating a charge of property damage after they found a 1cm dent in the other man's car which was inflicted by a 30cm-long sausage. The 49-year-old was walking through the town of Neubrandenburg, Mecklenburg-Western Pomorania, with his young son when the other man parked in front of them. Affronted by the carelessness of the parking manoeuvre, the father gave the driver a piece of his mind. But his opposite number didn't take the insult lying down and soon the men were trading insults and had started grabbing each other. Finally, the 49-year-old reached for the only weapon he had to hand, a 30cm sausage, and hurled it at his opponent's car with such force that he left a dent in the metalwork. Police believe that a metal clip in the end of the sausage caused the damage.